Fleming's has long been a Delia Jo favorite for steak, seafood, sides, and splendid service. From my days in Birmingham and Nashville, Fleming's was a place I frequented because I knew I wouldn't be bothered when dining alone at the bar, and I knew I could always anticipate stellar food and unmatched yet unobtrusive hospitality. I have many fond memories from my 20s of dining at Fleming's. So naturally I was thrilled when Fleming's Prime Steakhouse & Wine Bar opened a location in the Shops at Legacy in Plano last year. Once again, the consistent excellence at Fleming's has made it a go-to destination of mine for fine dining. 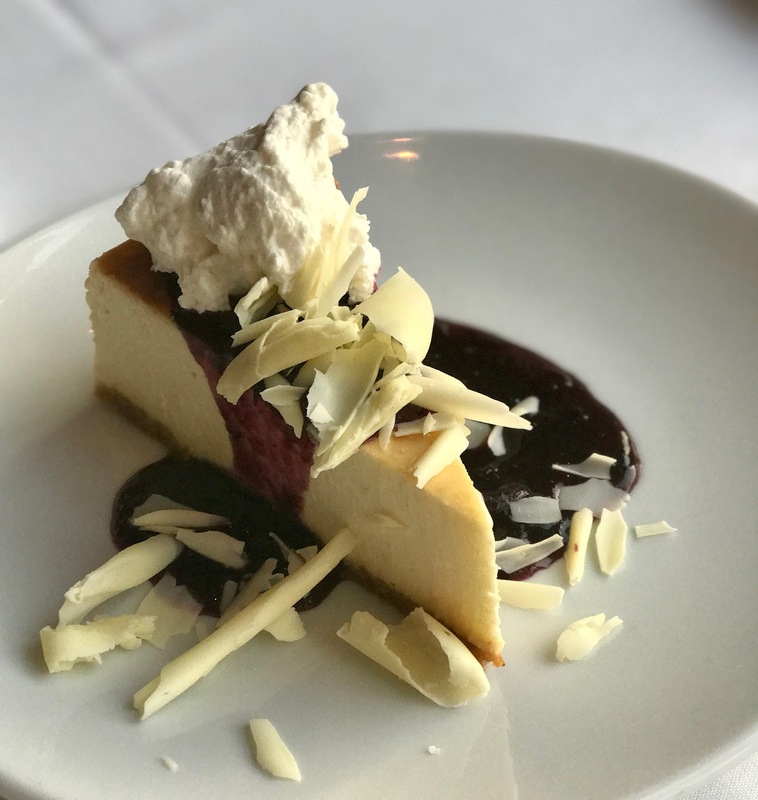 This is why I'm thrilled to share with you Fleming's new limited time, summer prix fixe menu, aptly named "A Summer of Love". For prices ranging from $59.95 to $89, you'll enjoy three exquisite courses, price depending on which steak selection you choose. 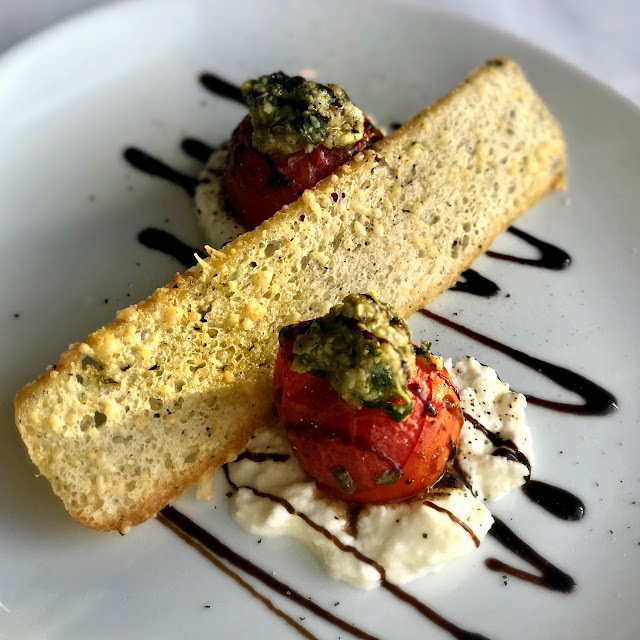 Your meal will begin with a Campari Tomato Bruschetta, topped with a creamy housemade burrata and balsamic glaze with a dab of pesto: The perfect light bite for the season's heat. For the main course, choose your own filet adventure. Option one is a filet with sautéed mushrooms and garlic butter ($59.95). The second filet choice comes topped with crispy fried leeks and a house made blackberry-pepper glaze. Our favorite server recommended this one, and we absolutely agree it's a perfect pairing with a glass of their recommended Duckhorn merlot ($59.95). 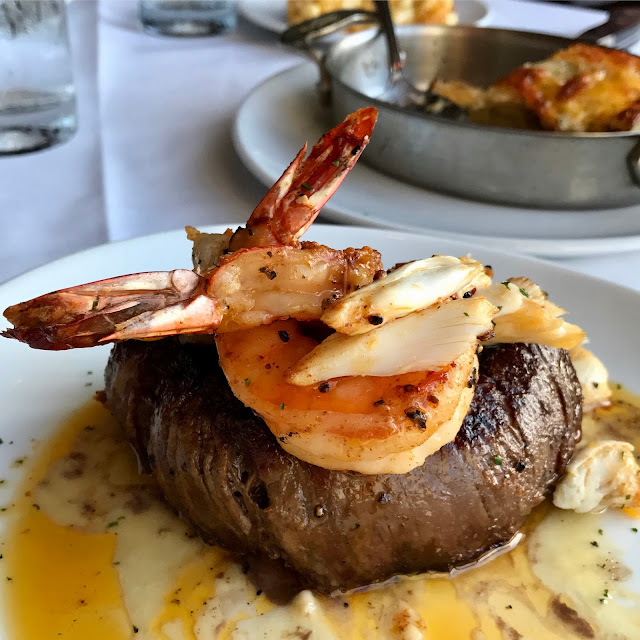 Your third filet option comes topped with colossal crab, shrimp, and chili butter - a true classic ($64.95). All three filets are very generous 12 oz portions, so bring your appetite. If you're extra hungry, adventurous, or perhaps a competitive eater, opt for the 35 ounce Prime Tomahawk Ribeye ($89). Served with Merlot salt and a Cabernet butter, that's a portion size to be reckoned with, cowboy. The Prix Fixe menu's final course is your choice of any of Fleming's signature desserts. I highly recommend the carrot cake, as the honey cream cheese frosting is the stuff of heavenly realms. 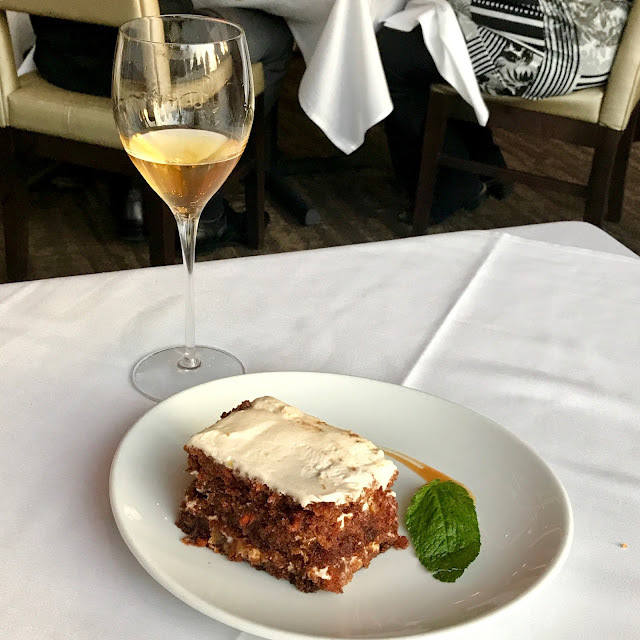 It's also the only carrot cake I've found made without nuts (my husband has a tree nut allergy), so we can never pass up a slice, even if it's to take home to savor later. 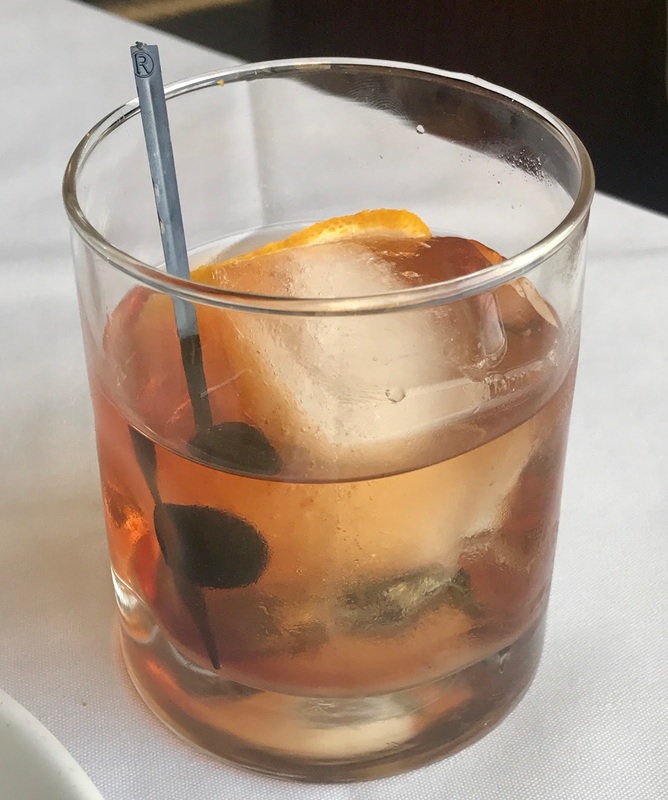 To preface (or accompany) your meal, Fleming's is offering two featured summer cocktails: the Summer Fling and the Old Cuban. These can be added to your meal for $13.95 and $12.95, respectively. There are also suggested wine pairings with each steak, which are expertly coupled to complement your steak. 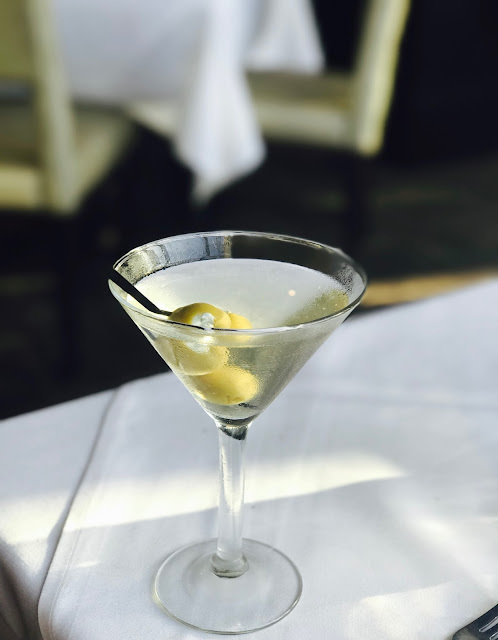 Of course, you can always add more to customize your Fleming's experience to your liking. 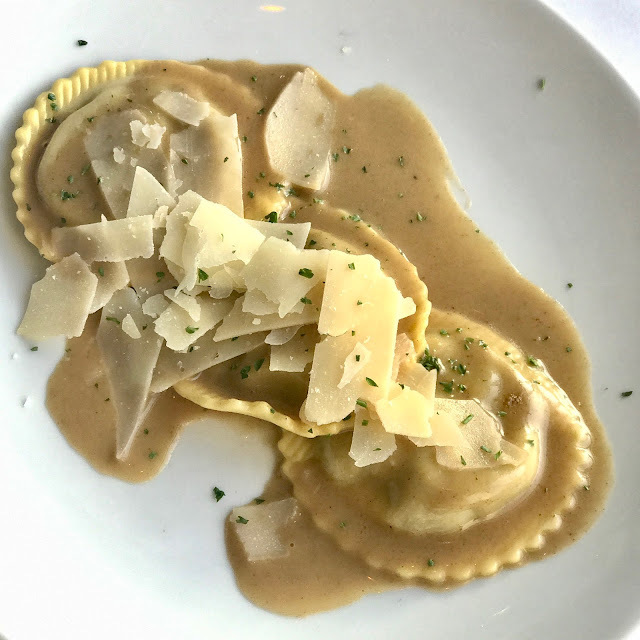 I couldn't skip the homemade Mushroom Ravioli, one of my favorite appetizers in Plano, topped with a memorable Porcini butter sauce. I also can't miss the Fleming's potatoes, a dish I've craved since approximately 2004 when I first had them in Birmingham. Save room for the delightful, rich Chipotle Cheddar Mac and Cheese, which heats up remarkably well for lunch the next day. 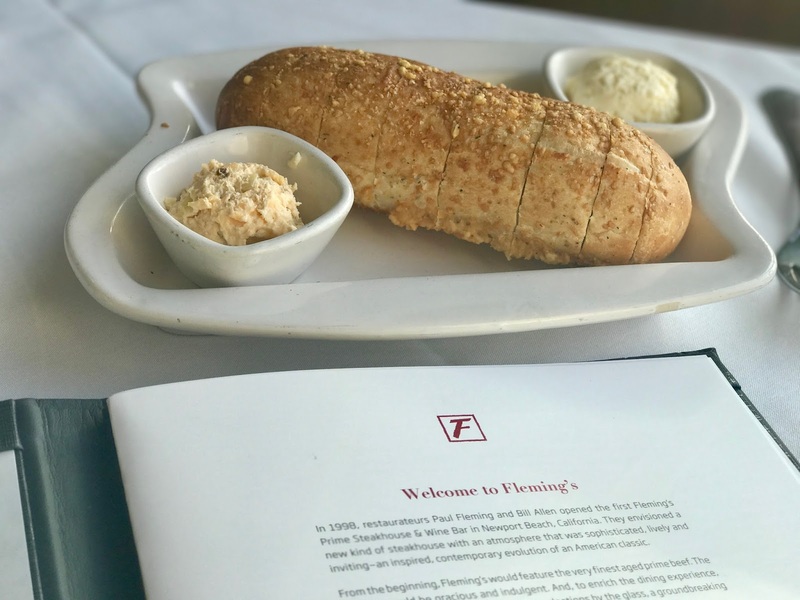 Whether dining at Fleming's a la carte, or trying out their summer prix fixe spread, I'm confident you'll cherish your meal as well as the service. Keep scrolling for more Fleming's food photos, from their regular menu. Even the bread and butter is exciting at Fleming's. My favorite is the champagne brie butter. *My meal at Fleming's was complimentary, but, as always, all thoughts and opinions remain my own.